Shoot a beam of light at a metal plate in a virtual lab and observe the effect on surface electrons. The type of metal as well as the wavelength and intensity of the light can be adjusted. An electric field can be created to resist the electrons and measure their initial energies. No user lesson materials have been submitted for this Gizmo. A great application to theory learned in class! Very visual! 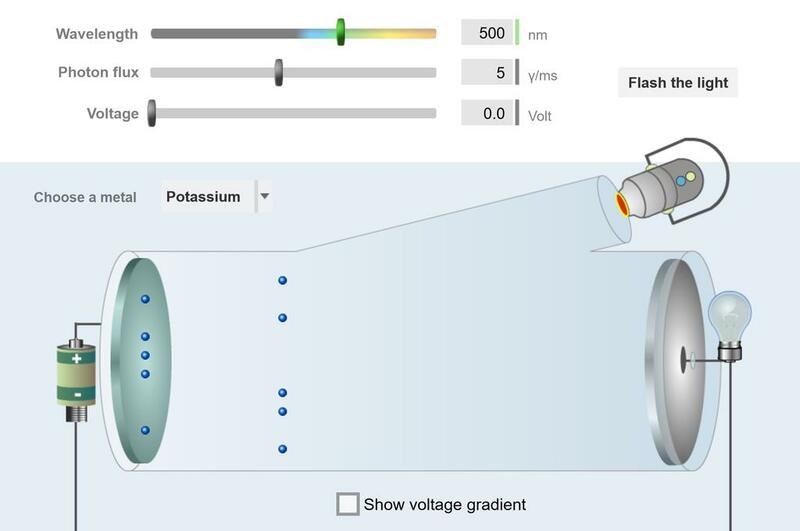 This Gizmo allows students to gain a better understanding of the photoelectric effect.